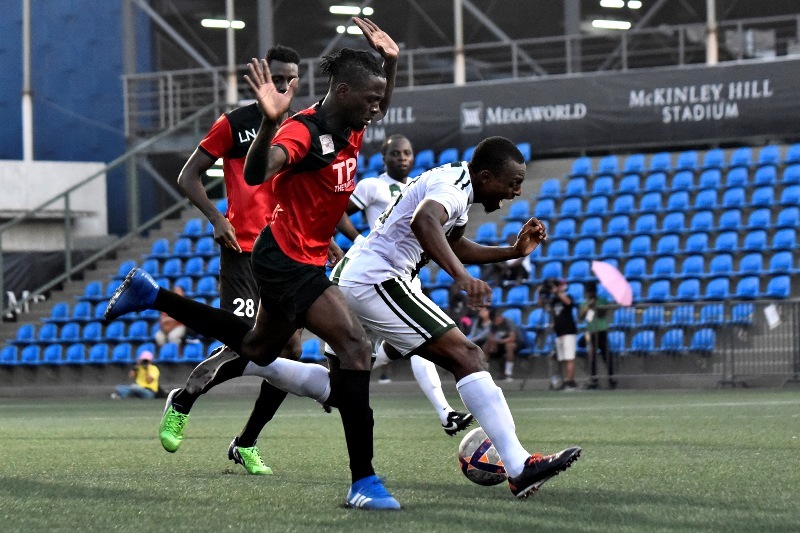 The Real Amigos pulled the rug from under the reigning champion Super Eagles last weekend of the Season 3 Philam Life 7s Football League, 7s Women’s League and 7s Youth League at the McKinley Hill Stadium. With the surprise win, the Real Amigos handed the Super Eagles their first defeat of the tournament. Newcomer Firat Sen made his presence felt in the ball game, deflecting goal attempts left and right to preserve the victory. Making it sweeter was the fact that it was his first game this season. “It’s my first game but I’ve been playing with these guys. I know their style of play because we were already together before. Knowing them makes it easy for me to stop them,” said Sen.
Also, Ghana F.C. remained unscathed while the H&J All-Stars, Delimondo-Laro, Superbad, and Futbol Funatics all came out victorious as they stayed afloat in the win-loss column. Superbad notched its second win in a row after defeating Matu Deportivo, 4-1. Dealing with missing some key personnel particularly on defense, Iggy Halili stepped up to be the team’s goalkeeper, making the win much more satisfying for him and the club. Meanwhile, the Futbol Funatics made up for their tough loss last week by beating Ceres-Negros Youth F.C., 2-1. Abel Gboko has been the team’s offensive linchpin, chipping in one goal and one assist. Playing with a sense of urgency, the Futbol Funatics were able to come out with great energy leading to the victory. Rounding out the day was the tight contest between Ghana F.C. and Bohemian S.C. where the former eked out a crucial 2-1 win. The victory propelled Ghana F.C. at the top standings as they’ve already won eight straight fixtures with no losses. Also, Bohemian S.C. was able to win over Payatas F.C., 3-1. Cathy Aihunu, who was the team’s hero last game, turned in another great offensive performance – chipping in two goals. This proved to be a step in the right direction for Bohemian and being consistent with their efforts will be vital to their success. Sugod Malaya was able to shock Young Pinay by tallying a clean sheet, 2-0. Sofia Margarse’s brace proved to be the difference in the ball game, and coach Jhoseryll Sajonia was satisfied with the way they all played. In the U9 division, Bohemian S.C. posted clean sheets against Aspire (4-0) and Marista (8-0). Their U13 counterparts have won against Socceroo (1-0) as well. Nomads also joined in the fray by winning over G8 (4-0), and Socceroo (2-0). Caribbean won over Nemesis (1-0), while Sugod Malaya and Xavier both ended their day with a win and a draw.